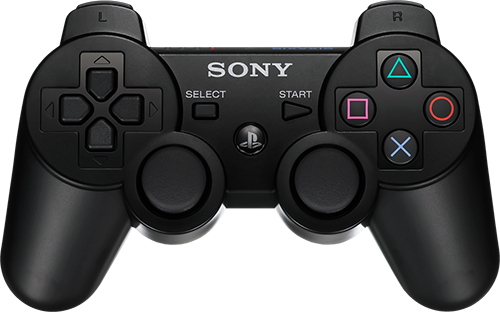 The DualShock 3 controller is the native controller for the PlayStation 3. There are a few models available, some of which offer improvements over the DualShock 2 controller such as SixAxis. While this wasn't true Sixaxis, it does off readings from an Accelerometer reading the X, Y and Z axis as well as a GYRO. The CronusMAX PLUS fully supports the DualShock 3 and Sixaxis, both of which, thanks to the CronusMAX PLUS, can be used on the PlayStation 4, PlayStation 3, Xbox One, Xbox 360, PlayStation TV and a Windows PC.